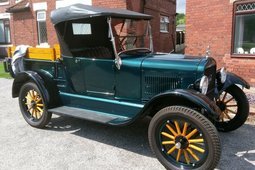 Just Toys Classic Cars is proud to present this very rare 1927 Ford Model T Coupe. These are getting harder and harder to find in original condition like this one. 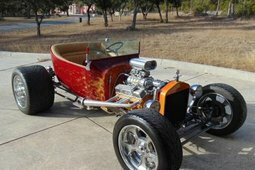 A lot of them are getting turned in to street rods and even though there is nothing wrong with that, these are only original once. As you will see in the pics the paint has some nicks and chips here and there but for 92 year old paint it looks pretty darn good. The interior of the vehicle has been redone once in its life and it looks fantastic. 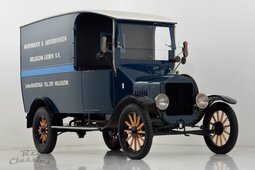 This is just one great time capsule of a vehicle. The driveline is all original to the car and purrs like a kitten. If you so desired you could crank the motor like the good old days, but an electric starter button has been installed in the floor to make starting much easier. This is just one of those cars that you would expect to see in a museum. 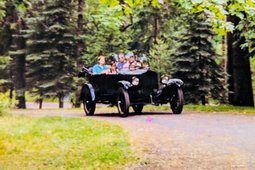 It truly takes you back in time of the early automobile. This will be a great piece to add to your collection. We offer classic car financing for those that would like to take advantage of the option. They offer great rates and terms with as little as 10% down. This way you can get the car of your dreams and not have to lay out all of the cash at once. You can start that dream today by going to https://www.justtoysclassiccars.com/pages.aspx?s=15970 and fill out the easy step by step application. We look forward to speaking with you soon.